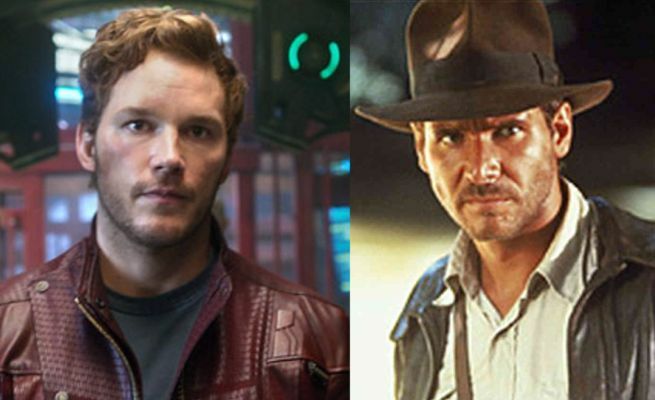 While Chris Pratt wouldn’t admit to knowing anything about all those rumors about him being in the running to play Indiana Jones, the Guardians of the Galaxy actor did say it would be an “awesome opportunity” to play the character, during a press appearance to talk about his Hasty Pudding Man of the Year award. Pratt received the Hasty Pudding Man of the Year honor and was roasted on Friday night at Harvard University. During the roast, there were references made to Pratt’s past and upcoming films. One of the presenters told Pratt that he was going to give him “one of the Infinity Stones,” before presenting him with a bra with dinosaurs on it instead. Pratt also spoke about his recent appearance at Christopher’s Haven, praising the organization for the work it does for kids battling cancer. Pratt also said that he planned to continue his charitable appearances.